OMGosh! 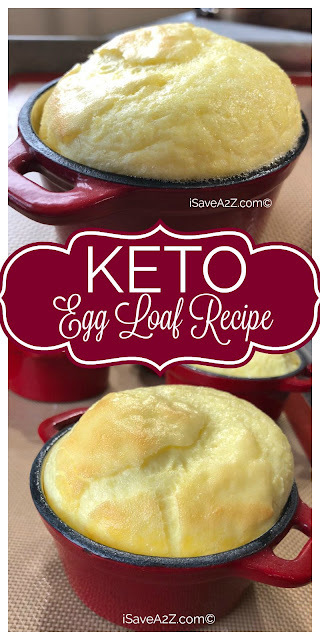 I just made the Keto Egg loaf that everyone in the Facebook Low Carb Inspirations group is talking about and I think I am in LOVE! I think of it as a little sweet treat but my youngest tells me it’s better than French Toast! There are so many different ways you can make this recipe when you add different flavor combinations too. I am a huge fan of Lorann Flavoring oils and I use them in almost all of my sugar-free recipes too! I added the apple in one recipe for an apple bread and I added the banana flavoring for a keto friendly banana bread too! Absolutely DELISH! Did you know there’s even a cotton candy flavored Lorann oil? There is!! I tend to use the fruit flavored oils for sugar-free snow cones during the hot summer months. The kids don’t even miss the sugar. Combine all the ingredients in a small bowl (or a blender) and mix it until all the ingredients combine and become smooth. This takes about 3 minutes or so with a hand mixer. It will only take about a minute with a blender.